For the first time Wellcome Library members can request and view material from the Wellcome Trust’s own corporate archive. This is the result of a two year project to turn Wellcome’s corporate records into a public resource available to all. The Wellcome Building: letter cutters from David Kindersley’s workshop at work on the Euston Road frontage, 1956. Wellcome Images no: L0031497. The archive is being catalogued in five sections and the first two, Governance and Corporate Management and Grant Funding, are now available on the Library catalogue. Some individual files and record series are closed due to the personal data and business sensitive information they contain, but all the open and restricted records can be viewed in the Library. The Governance and Corporate Management section (Library reference: WT/A) covers the high level managerial records produced by the Wellcome Trust since its inception in 1936. 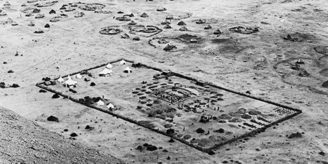 Several files document the work that went into establishing the Trust after Sir Henry Wellcome’s death and reveal the efforts the Trustees had to go to to wind up Sir Henry’s affairs and deal with his bequests. This section also includes all the Board of Governors (originally Board of Trustees) minutes and papers up until 2013. They chart the Trust’s growth from a charity struggling under the weight of Sir Henry Wellcome’s estate duty, to one of the world’s largest medical research charities funding research into human and animal health. Other series in this section include files from the Chairman and Director’s offices, strategic planning records, Board of Management meeting papers, Executive Board meeting papers, legal records and annual reports and reviews. The Grant Funding section (Library reference: WT/C) covers the Trust’s many and varied funding activities. This includes all the various funding panels and committees there have been over the years, management of specific grants and major funding projects such as the Sanger Institute and Diamond Light Source and work looking at the Trust’s funding strategies and research into possible new areas of funding. The section also includes grant outputs from various funding streams, primarily relating to public engagement. These outputs range from artworks to educational resources to theatre productions. 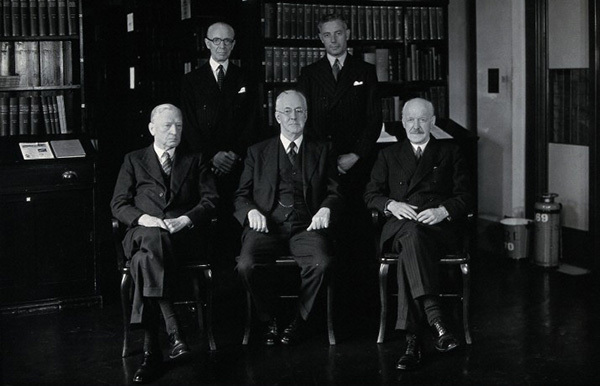 The Trustees of the Wellcome Trust c.1938. Wellcome Images no. V0027867. The archive has already revealed a few surprising things. For instance, most people are aware of the Wellcome Foundation share sales in the 1980s, but the records show that a share sale was actually first considered in the early 1960s (Library reference: WT/A/5/1), though on that occasion it didn’t go ahead. 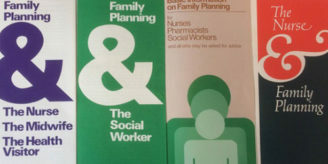 Elsewhere the archive shows that Wellcome was ahead of the curve by introducing flexible working practices in 1986 (Library reference: WT/A/6/22), which allowed staff to stagger their start and end times and take shorter or longer lunch breaks when required. Cataloguing the next section is well under way and will be released later this year. It covers Wellcome’s direct activities, that is the things the Trust does itself rather than funds. This includes Wellcome Collection, the policy team and the Trust’s involvement in science education. Victoria Sloyan is an archivist at the Wellcome Library.